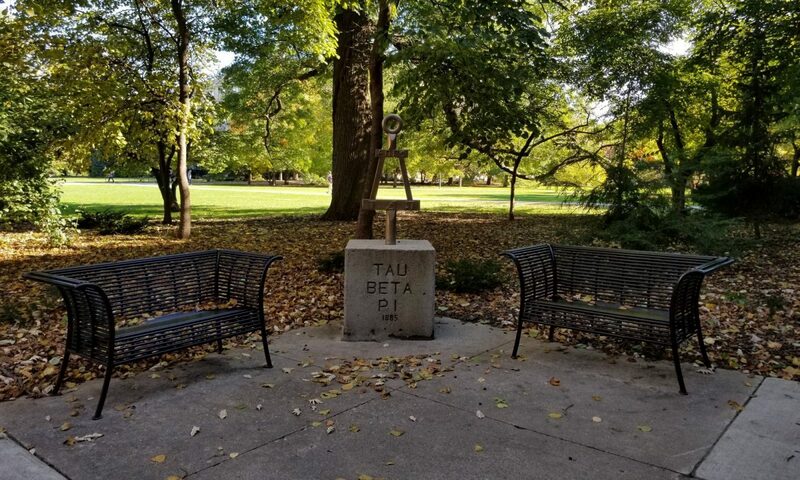 The Iowa Alpha chapter of Tau Beta Pi, founded in 1907, is the oldest continually active honor society at Iowa State University and one of the most celebrated of the 248 Tau Beta Pi chapters located at universities throughout the country. The chapter contributes significantly to the College of Engineering through K-12 outreach activities, including annual events like the Roller Coaster Competition for 6th-12th grade students in Iowa as well as the Building the Future event hosted on campus. Our chapter also provides service to the university and Ames community through the Pi Mile Run, Adopt-a-Highway initiative, Free Coffee Friday and other activities. Iowa Alpha strives to be more than an academic honor society, and Tau Beta Pi members, in addition to their scholastic excellence, are expected to be individuals who will bring honor and integrity to the engineering profession.